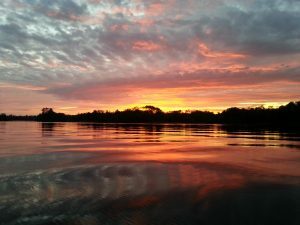 Since 1995, CENTURY 21 has been specializing in lake homes, Waterfront Homes, and waterfront property located around the Hayward area of northwest Wisconsin. Use the list below to find the waterfront home of your dreams today! This beautiful chalet home is one of a kind on gorgeous Spring Lake! Everything is included, all furniture, drive on dock and pier. A ton of recent improvements have been made in the past few years that include: All new exterior smart board siding that resists peeling in the southerly exposure, custom Marvin front windows, newly built expansive screen porch, new roof, Timber Tech deck with aluminum rails that expand onto a patio deck with extensive landscaping complete with rock wall, large cedar steps with built-in railings down to the lake, rebuilt garage and bonus room off the garage that is perfect for an extra sleeping area...and that's not all, this is a must see! Looking for land? Let CENTURY 21 find you some land or a lot to build your dream home. Click here to see a listing of our waterfront land for sale.